Cilla McQueen was an excellent candidate for the Burns Fellowship. She broke the run of male contenders (the first female since Hulme in 1977) and she was a published poet: Homing In (1983), which received the New Zealand Book Award for Poetry, and Anti-Gravity (1984). Two further collections arose out of her tenure, which was extended to two years. 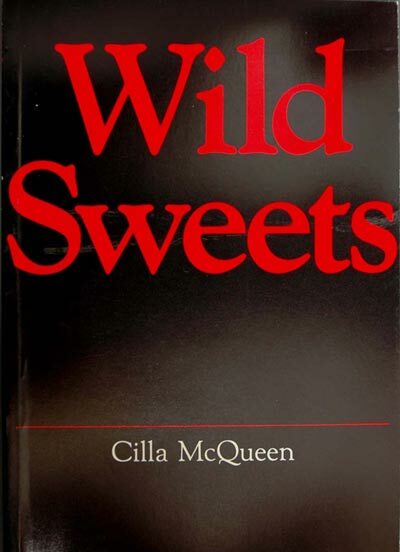 Wild Sweets (1986), and Benzina (1989), which won a second New Zealand Book Award. Although drawn prior to her Fellowship, Cilla McQueen's delightful sketch of 'Andrea and Ralph' was too hard not to display. 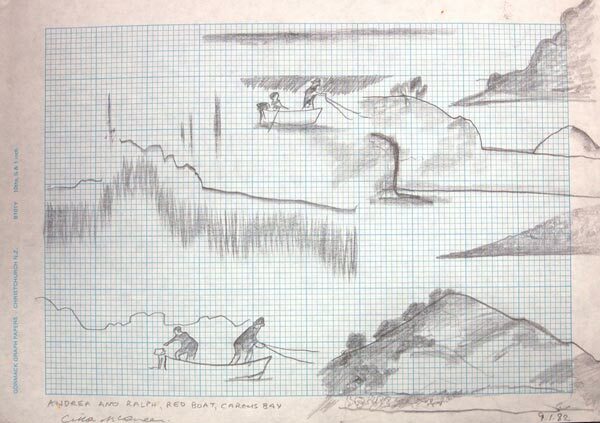 Cilla McQueen, 'Andrea and Ralph, Red Boat, Carey's Bay', 9 January 1982. Pencil sketch. 1982; ___, Wild Sweets. Dunedin: John McIndoe, 1986. Private Collection.